San Agustin is a small town famed for its large collection of ancient statues and the lush green countryside in which they are found. Traditionally an off-the-beaten track destination, it has become very popular with tourists, especially as security has improved dramatically in the last few years. Long before Europeans set foot on the continent, this region was home to an ancient civilisation. Many centuries have passed since their extinction, but several hundred stautues remain dotted around the verdant mountains and valleys. Visiting these stautues is a great excuse (as if one were needed) to head off into the surrounding countryside. A dramatic view of the Magdalena River snaking through green valleys. Very little is known about the ancient civilisation which created the statues in the region. They are thought to have vanished by the 12th century long before the Spanish arrived. The ancient statues found here range in size from half a metre up to around 7m. Many of the statues are grouped together in parks or connected by walking trails, and many are conveniently found in picturesque settings. 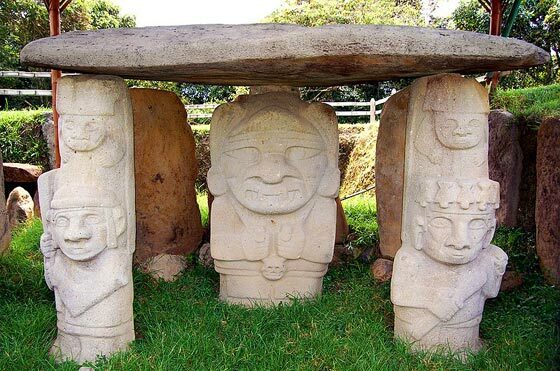 The biggest collection of statues is found at the Parque Arqueológico a couple of kilometers west of the town. It takes a good couple of hours to wander around the entire park and there's also a museum featuring statues and artifacts found in other parts of the region. 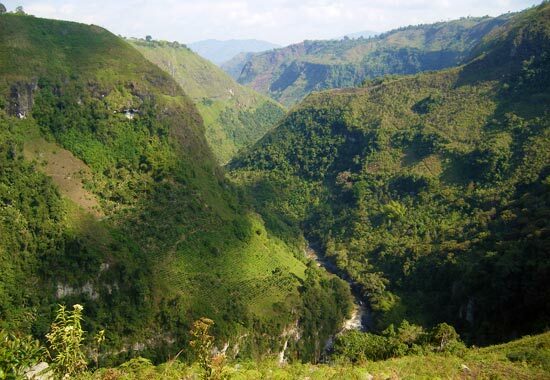 El Tablón and La Chaquira are two more sites worth visiting. They are connected on a pretty trail from San Agustin. You first arrive at El Tablón, a small group of statues and a museum, before continuing on a winding path to La Chaquira. Here you find a number of statues carved into rocks. Perhaps even more impressive, is the spectacular view down into the Magdalena river valley. The Alto de los Idolos contains the second biggest collection of stautes and is located across the Rio Magdalena via the Puente de la Chaquira. 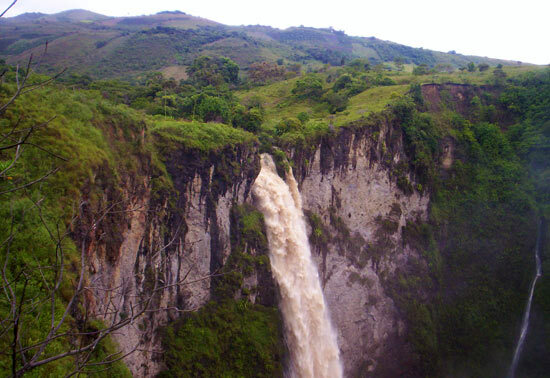 Salto de Bordones and Salto de Mortiño are two spectacular waterfalls located several kilometers from the town. A good way to see these sights is on a jeep tour your which also takes in some of the best archaelogical parks and takes you down to the Magdalena River. In contrast to the surrounding landscapes, the town itself is fairly unspectacular. Up on the hills there are some nice hotels and hostels with vistas of the lush green hills, but basically it is a rather average town. There are some decent bars and restaurants, particularly on Calle 3 and a couple of churches. For somewhere good to stay try Terrazas de San Agustin Hotel, on the edge of the town. The place includes a gym, spa and hot tub. 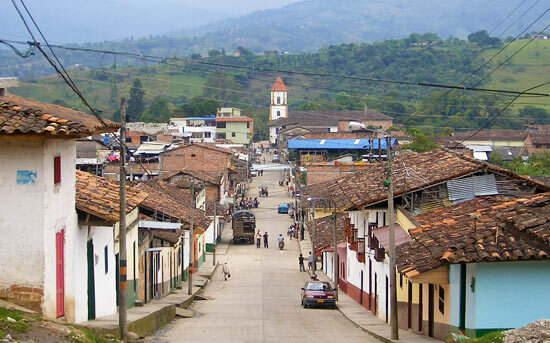 About 6 hours north is the city of Neiva (capital of Huila). Neiva is a pleasant enough place, although there's not much to do there. It does, however, provide a good connection to get to the outstanding Tatacoa Desert. Once you get to Neiva you can easily find buses connecting to the capital Bogota and elsewhere.